Mililani's #1 residential & Commercial water & fire Damage restoration services. 24/7 emergency service! The last time there was a flash flood in Mililani was in 2015, but long-time residents have experienced about 4 or 5 floods in this area. The muddy water came from nearby agriculture fields, and it was triggered by rain that only lasted 10 minutes. 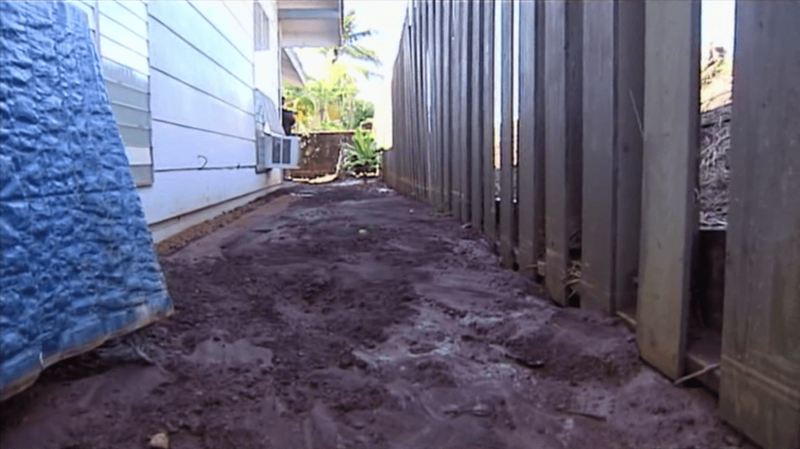 The damage of such floods can be devastating, so it’s a good thing our Mililani home restoration services can deal with it professionally and efficiently. But water damage doesn’t only happen after a flood. More common causes include burst plumbing pipes and leaky roofs. In rare cases, though, the water damage may be caused by firefighter efforts to fight a fire in your home. Whatever it was that caused the water damage to your home, contact us at Rescue One Restoration anyway. We always stand ready to help you restore your home to what it was before the water damage disaster. Why Call Rescue One Restoration? We’ve been in the restoration industry for 32 years. We’ve managed to last and thrive for this long because we’ve established a reputation for honest and effective work. Our technicians have the knowledge and experience to deal with various water damage issues. They have all received training and have been licensed and certified. The tools we use are state of the art. We can comprehensively remove moisture from wall cavities, flooring, and even places that are hard to reach. We also offer content pack out services, which means saving your personal belongings from further damage by transporting them to an off-site storage location. It’s best if you call us right away, as mold and mildew growth can start within 48 hours after the flooding. But even if you call us late and mold has begun to grow, we have the expertise and the equipment to remove mold from your home. We can even help in restoring photographs and documents that have been ruined by water or mold damage. Despite our advanced knowledge and equipment, our rates are cost-effective and reasonable. We are on standby 24/7. You can contact us at any time and on any day. This means you can call us just after midnight and even on holidays. We can also assist you in filing out claims on your home insurance policy. We can help make sure that you properly reduce your out of pocket expenses. If you’ve suffered water damage, it’s imperative that you contact us at Rescue One Restoration as quickly as possible. Don’t even wait for the morning, as we can come to your home as quickly as possible. Contact us and describe the problem, and we can give a quote regarding cost of the water damage restoration. At Rescue One Restoration, we have known for decades about how disastrous water damage can be. It represents a health hazard for your family and a danger to the stability of your home as well. Contact our office, and we can help restore your home to what it was once before.